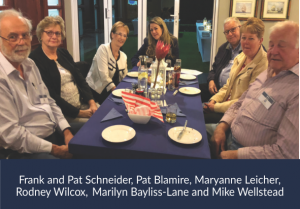 Chartered client, Lise Day, has discovered the delights of travelling with the University of the Third Age, and shares the highlights of her trips with us. I have always been quite disparaging about people on buses and organised tours. I thought it far more adventurous to go it alone and make my own arrangements. I did not want to be bound by a strict itinerary or have anyone else decide when and where and for how long my experiences should be. But as we get older several factors come into play – the main one is the problem of luggage. On a recent trip to Norway I discovered that the wheels on my expensive new suitcase did not do well on cobbles! Added to this was the fact that the street that my sister said airily was ‘a stone’s throw from the station’ was being dug up for new tram lines and no longer existed as a street. It was 30 degrees in Oslo, which was also unexpected. I eventually arrived at the hotel dripping with sweat and exhaustion only to find that it was one of those automated places which required a series of passwords to open the doors – which of course I did not have. Eventually some other kind traveller let me in, then the lift wouldn’t work I did not realise I had to swipe a card to get it to go up or down. So, that is the second factor influencing travel – keeping up with technology. Thirdly, as I get older, I find I worry more about being on time to catch planes and trains; I have to beg my children to take me to the airport hours ahead of time so that my tummy does not get in a knot. 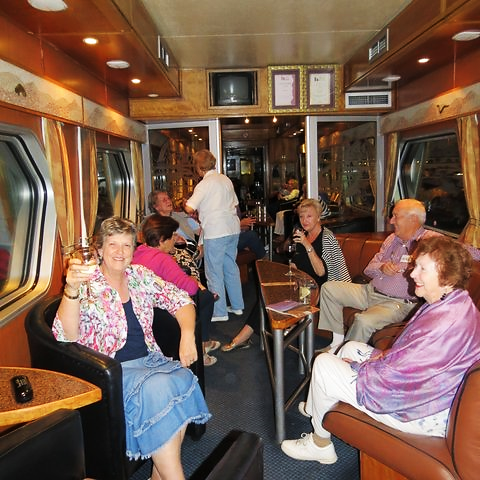 I tentatively signed up with the Cape Town branch of the U3A for a trip to Namibia on the ‘Desert Train’. All I had to do was be at the airport, with my passport at the right time. We were given name labels which we wore all the time – so no stress about remembering the names of new friends. 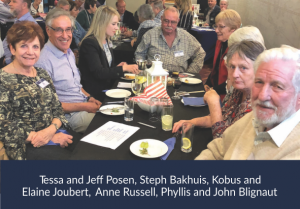 Far from the old fuddy-duddies which I had feared our group of thirty consisted of interesting, active, retired people. Another thing that troubles me about getting older is that people don’t really talk to you any more, or consider that you might have an opinion worth sharing. I find this especially when I go to events at the grandchildren’s schools. On this trip we were of an age and conversations over meals were always stimulating. 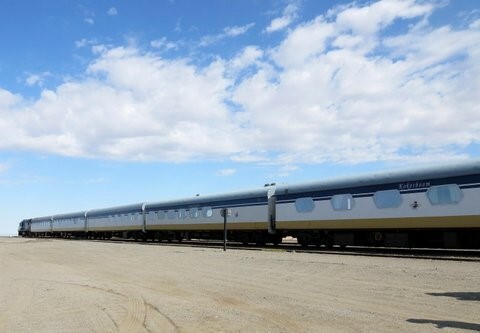 We boarded the train at Windhoek station and it became our travelling hotel for the next ten days. Any ideas we had about fast efficient train travel as in Europe were soon dispelled. The train trundled along, slowing for potholes and wonky rails at a slow scenery-viewing pace. It used to be the president’s train but I think he gave it up as being too slow. We stopped in a game reserve, and there were the jeeps waiting for us. 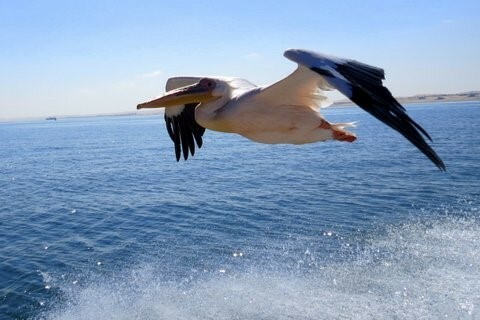 I signed up for a boat trip around Walvis Bay where the pelicans flew alongside us and there were fresh oysters and champagne. 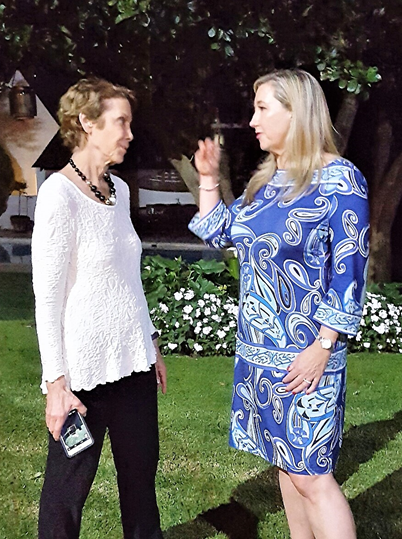 We explored the pretty town of Swakopmund. A trip into the ‘living desert’ with an expert showed us chameleons and sidewinder snakes that we would never have found by ourselves. Meals on and off the train were delicious. We drank beer in the biggest pub in Africa. When the air conditioning on the train broke down, it wasn’t my problem. Nothing was my problem … it was all very relaxing and stimulating, and affordable. I so enjoyed the Namibian trip that a few months later I signed up for a trip to the Trappist Monastries in the foot hills of the Drakensberg. This trip treads in the footsteps of the Trappist monk Father Francis Pfanner and his missions. 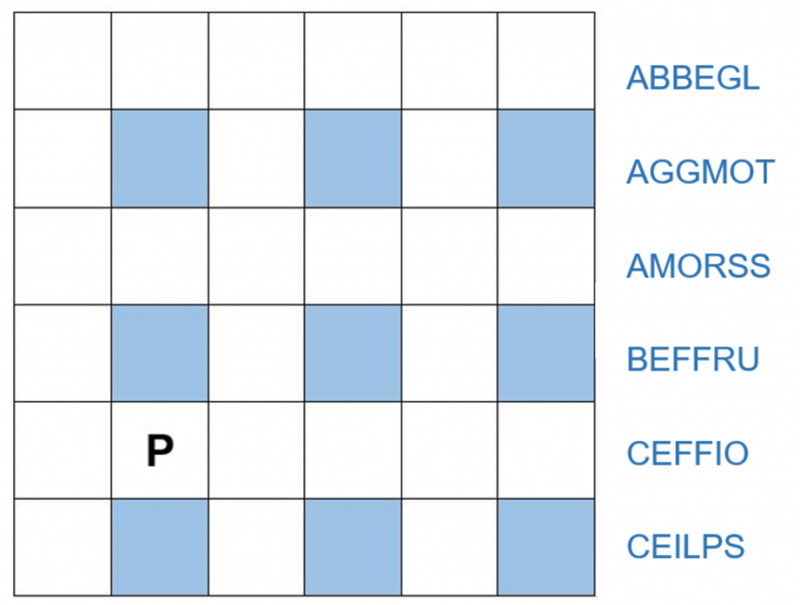 The Trappist order had four primary vows: chastity, poverty, silence, stability. The latter meant that a Trappist monk vows to spend every night under a consecrated roof – so to extend the reach of his ministry centred at Marianhill, Francis Pfanner built 28 missions within a day’s donkey ride of each other. Some of these no longer exist, but we visited six. 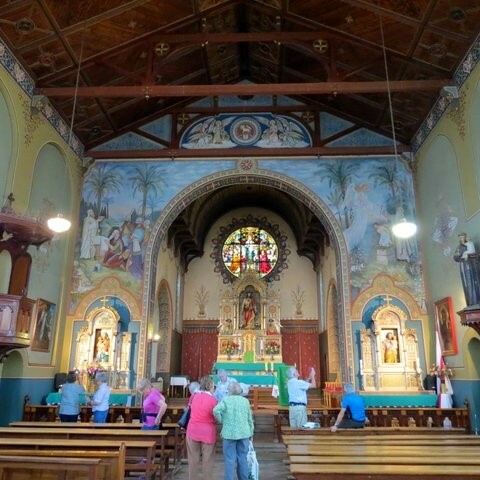 The tour was not linked to any religious doctrine, but is in appreciation of a rich cultural heritage. 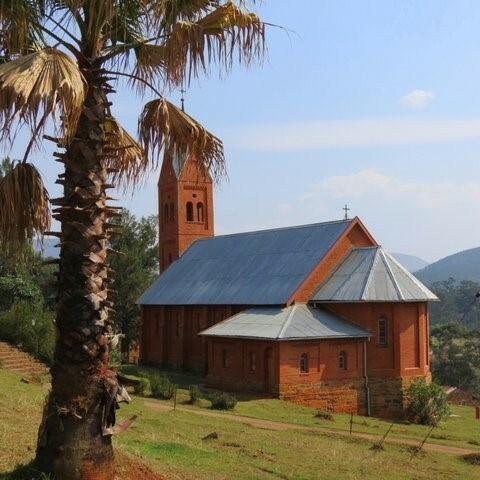 These beautiful buildings with their majestic churches and well-designed and still functioning farm buildings, formed the basis for our monastery tour. At these peaceful remote missions, we shared the grass-roots experiences of the 19th century monks who lived, worked and worshipped there. We were pleased to see that despite the fact that the monasteries themselves are less inhabited by monks and nuns, the schools associated with them are active and support the education of hundreds of rural children. We stayed in a beautiful guest house called King’s Grant near Ixopo and visited the monasteries by bus. 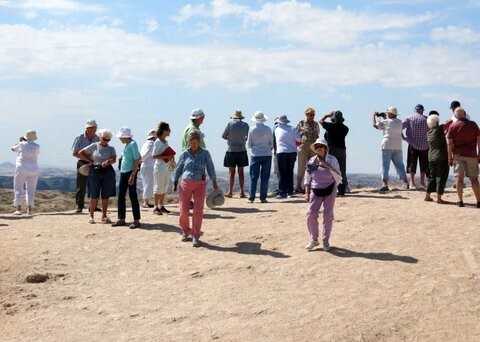 Our tour guide Nicky was incredibly knowledgeable and we learnt so much about this fascinating and little known story. On the last day we transferred to four wheel drive vehicles for a rollicking ride up the Sani Pass to lunch in the highest pub in Africa – where the wind nearly blew us away. Now I am totally converted to travelling with the U3A. I love the fact that there is a purpose other than relaxation to these holiday trips. 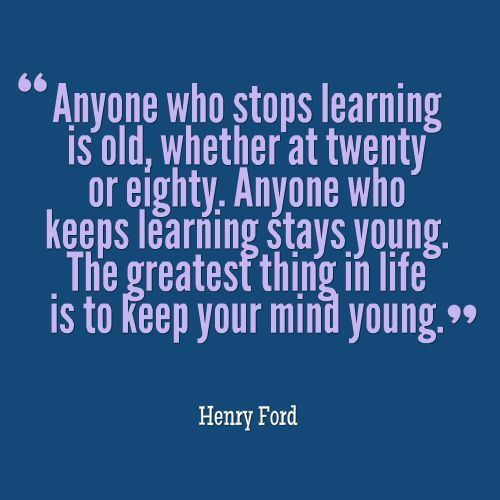 It is great to learn something new- even if we do not remember it for very long! 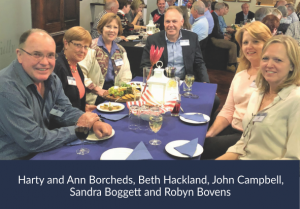 *The U3A is a worldwide organisation for retired people. 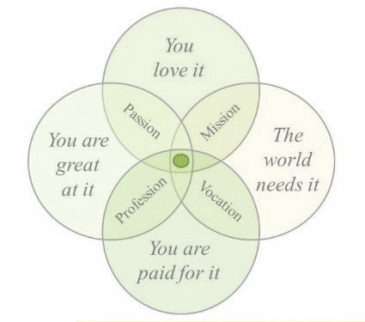 It works on the principle of sharing knowledge and experiences. There are innumerable courses, you could learn something new every day if you so wished, at little or no cost, R40 annually to join. 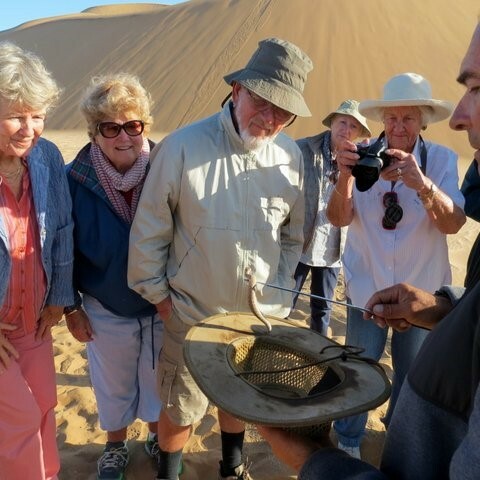 * The trip to Namibia was led by Derek Rule R12, 200 including flights. 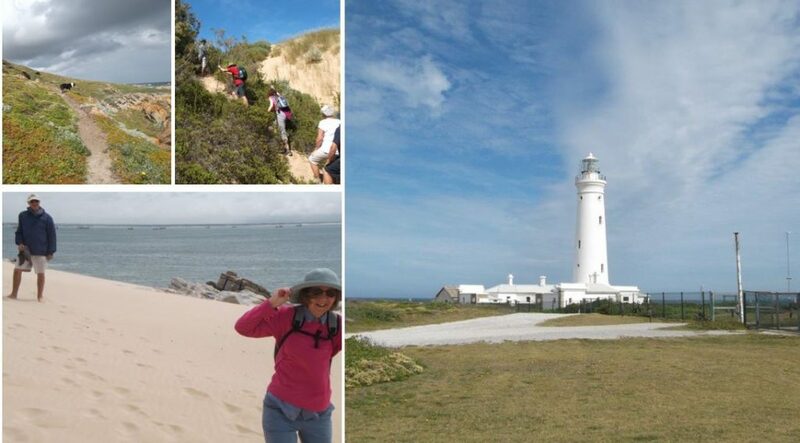 *The trip to Natal was led by Doug Gardner R8, 595 including flights. 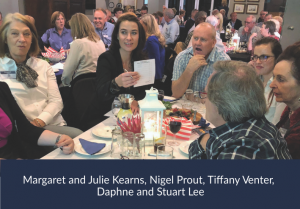 Alec Hogg, Biznews Editor, recently cited the books that South African CEOs are reading. This follows McKinsey’s study which includes two local CEOs among the 17 global CEOs mentioned in the report. His point? That for true leaders, self-improvement is always in style. 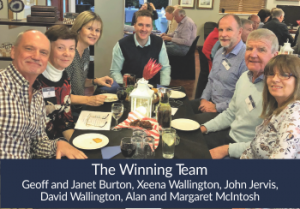 Chartered regularly promotes the notion of ongoing learning, so that our clients take up the most important leadership role … that of directing their own lives and living holistically, happily and healthily. In support of this aim, Chartered regularly updates it stock of library books at Chartered House. 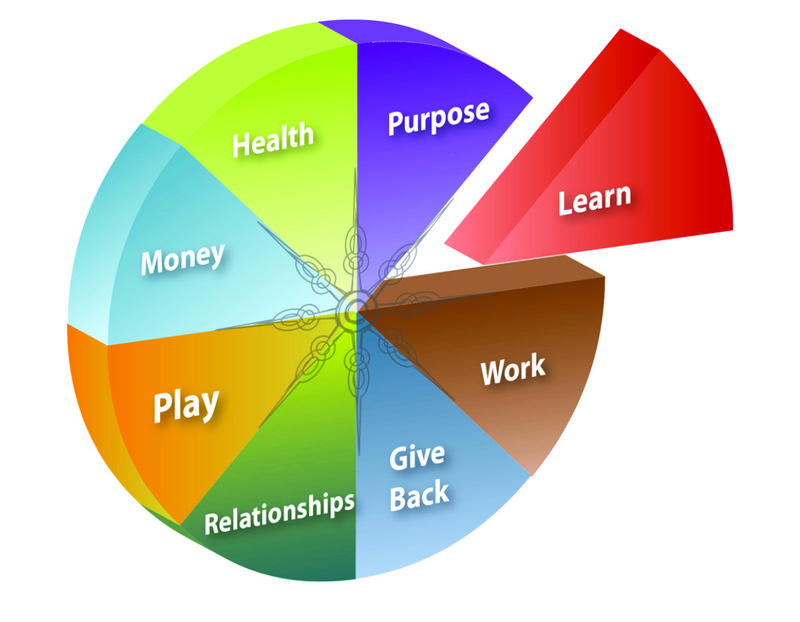 Our repository of worthwhile books is arranged around the Wheel of Balance categories – Work, Give Back, Relationships, Money, Learn, Health, Purpose, Play. 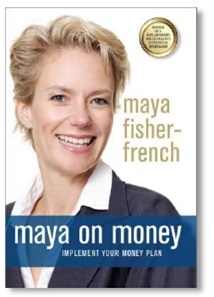 Some books deal specifically with the transition into retirement and the years following it, and others are particularly focused on coping with life’s challenges such as grief, being single and reinventing yourself. The Chartered library has seen a recent influx in new titles, and we invite every Chartered client to take advantage of the opportunity to benefit from these acquisitions. If you are further afield, perhaps take note of any titles that may interest you. What Colour is your Parachute? 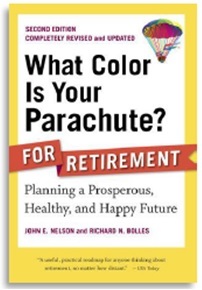 for retirement by John Nelson and Richard Bolles is designed for the retiree who wants to ensure he or she lives a fulfilled life … by planning for it and considering alternative career options. 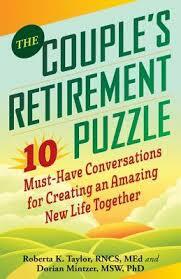 This book is filled with practical ideas and exercises to help you build your ideal retirement. Written tongue-in-cheek, this book proves that getting older doesn’t mean the end of life or having fun. It provides amusing answers to the question, ‘How on Earth will my husband fill in his time in his retirement?’ It offers suggestions on what might, or most certainly might not, amuse him. 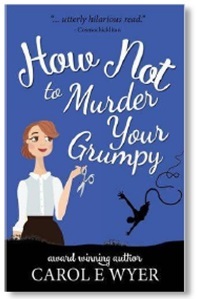 Ideal for those approaching retirement and frustrated women who have an irritable male on their hands, this book will lighten any mood and may even prevent the odd murder. 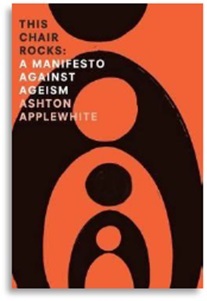 This Chair Rocks: a Manifesto against Ageism by Ashton Applewhite. From childhood we’re barraged by messages that it’s sad to be old, wrinkles are embarrassing, and old people useless. Lively, funny, and deeply researched, This Chair Rocks debunks myths about late life, explains the roots of ageism in history and in our own age denial. It examines how ageist stereotypes cripple the way our brains and bodies function, looks at ageism in the workplace and bedroom, exposes the cost of the all-American myth of independence, critiques the portrayal of olders as burdens to society, and describes what an all-age-friendly world looks like.